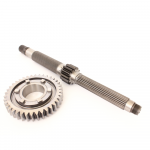 This Porsche 997 ratioset includes a layshaft and first gear. The set is interchangeable with Porsche reference number 997.302.261.7E. Input gear: 12 Output gear: 38.. 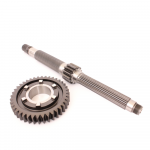 This Porsche 997 CUP ratioset includes a layshaft and first gear. The set is interchangeable with Porsche reference number 997.302.961.6A Input gear: 13 Output gear:.. 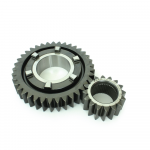 This Porsche 997 CUP 2nd gear set has a ratio of 2.313. These gears are wider than original Porsche 997 CUP Gears, which increases strength.. 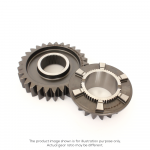 This Porsche 997 CUP 2nd gear set has a ratio of 2.133. 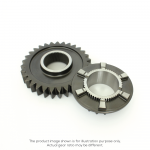 These gears are wider than original Porsche 997 CUP Gears, which increases strength.. 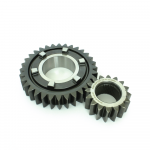 This Porsche 997 CUP 2nd gear set has a ratio of 2.000. These gears are wider than original Porsche 997 CUP Gears, which increases strength.. This Porsche 997 CUP 3rd and 4th gear set has a ratio of 1.722. This set has the standard gear width and is replaceable with.. 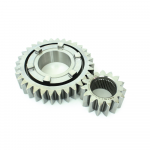 This Porsche 997 CUP 3rd and 4th gear set has a ratio of 1.400. This set has the standard gear width and is replaceable with.. This Porsche 997 CUP 3rd and 4th gear set has a ratio of 1.318. This set has the standard gear width and is replaceable with.. This Porsche 997 CUP 3rd and 4th gear set has a ratio of 1.400. 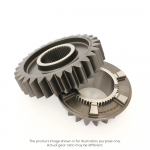 To accomplish even a longer lifetime of the gears, KMP has.. This Porsche 997 CUP 3rd and 4th gear set has a ratio of 1.579. 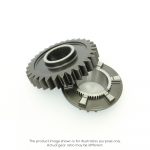 To accomplish even a longer lifetime of the gears, KMP has..